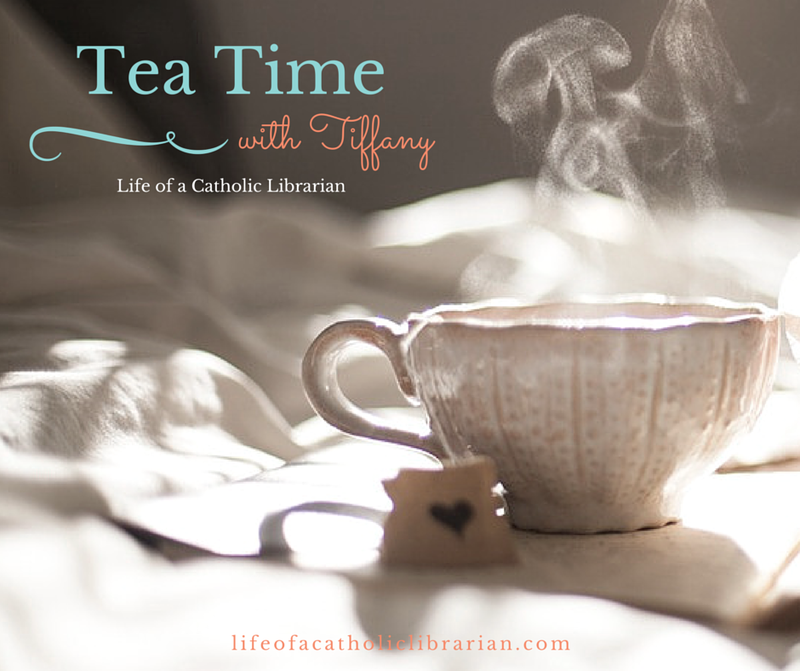 Life of a Catholic Librarian: Tea Time with Tiffany Episode 2 - Reference librarianship, and changes on the way? Tea Time with Tiffany Episode 2 - Reference librarianship, and changes on the way? "Why does my face look so weird? Should I redo this one? Oh wait, there is a PIECE OF FUZZ IN MY HAIR, that's it, RE-RECORD!" So, I haven't exactly gotten this down to a quick-like process just yet. ;-) But we're getting there. This week, I focus on why I became a librarian, and how my role within academic librarianship is changing. Tune in to find out more! Don't forget to leave a comment if you have any thoughts on being a librarian, and/or if you have suggestions for chaplets to add to my list for future recording! I really enjoyed hearing about your career change and job responsibilities! I think the most important qualities in any librarian would be a real love of knowledge and being able to roll with the punches. When I started my job 6 years ago, I had no idea I'd be teaching 1 (or more) sections of Information Literacy a semester. My BA is in music, so I'm no stranger to performing - but I am a melancholic introvert to the core. Turns out I rather like the teaching part of my job - gets me away from cataloging music scores! Our curriculum is also being revamped for the Fall, so I'm nervous about it, but I'm pretty good with citations and plagiarism. I'll get through it. I think. I enjoyed hearing your librarianship story. I too am a librarian for and have been about 5 years now. Part of what attracted me to librarianship was that I enjoying helping people and I'm able to do that no matter which job I'm at that day (I've got 3 part time jobs, public library, community college, and tiny academic library). When I was in library school I didn't think I'd be teaching either but I've been asked to do more of it recently. Instruction sessions still make me nervous but the more teaching I do the more confident I feel about it.